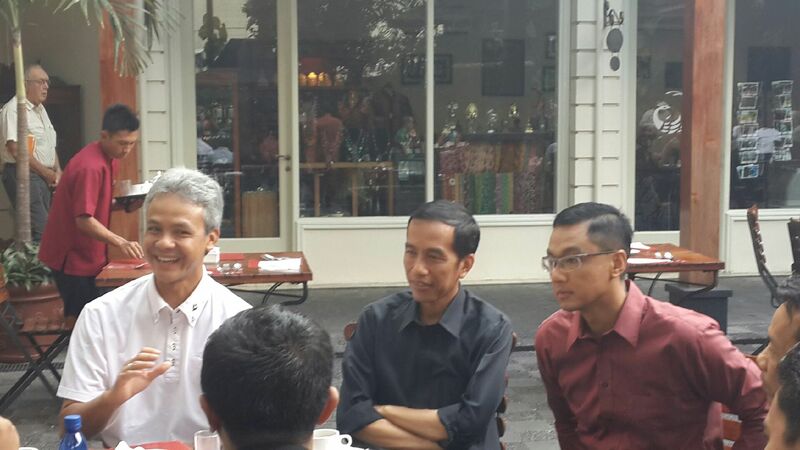 I am currently writing a book titled “Resurgence of Indonesia: Smart Energy Strategies”. In it, I discuss one energy-related economic issue at a time and craft an intelligent strategy to overcome that particular challenge. This book emphasizes rational strategy and is not meant to criticize the Government of Indonesia. 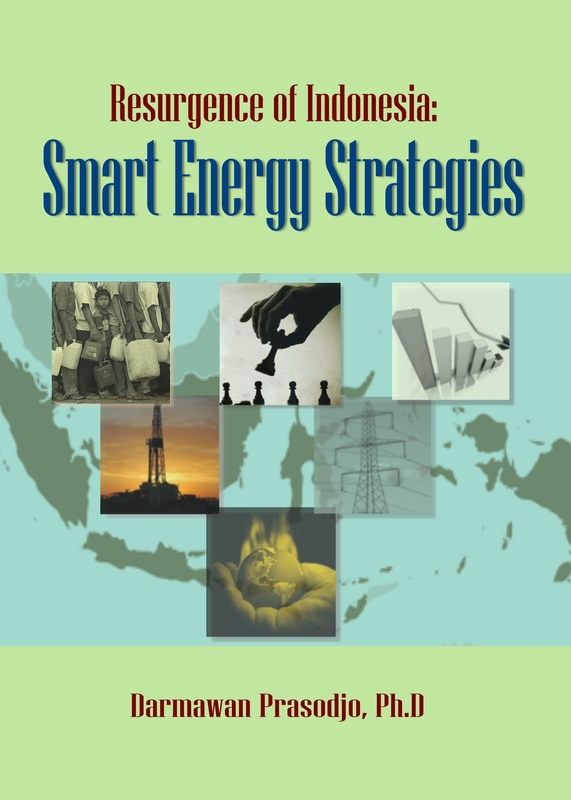 Instead, this book presents sensible analysis of Indonesian energy challenges and develops smart strategies for moving forward. Please do not hesitate to contact me if you want to have a discussion about this book. After the ending of the New Order authoritarian era in 1998, Indonesia was plagued by pent-up violence stemming from communal and separatist causes. A series of bombs rocked churches in Jakarta and other cities across Indonesia on Christmas Eve of 2000, putting tremendous pressure on the already-fragile nation. Violent communal forces were unleashed in places like Maluku, West Kalimantan, and Central Sulawesi and killed thousands of people. A prolonged separatist conflict in Aceh that spanned over 30 years was escalating. The centrifugal force was so strong that many experts predicted that the disintegration of Indonesia was just a matter of time. But those experts are proven to be wrong. During this difficult time, Indonesia showed extraordinary resilience and resolve . After that church bombing in Jakarta , thousands of Muslim youths were galvanized and showed solidarity by guarding churches to prevent further attacks on New Year eve that would have caused the country to free fall into chaos. The attack not only failed to tear the very fabric of Indonesian unity but it strengthened the harmony between religious groups. The Aceh conflict was resolved with a heartwarming reconciliation that culminated with the fair election of a former leader of the Free Aceh Movement (GAM), Mr. Irwandi Yusuf, as the governor of Aceh where he found himself leading the very people he once fought against. While the world has been watching political upheaval and instability in Tunisia, Jordan, Libya, Syria, Egypt, and recently Malaysia, Indonesia has enjoyed a period of political calm offering a stable climate conducive to new investments. In fact, Indonesia has been a darling for investors, with its leading stock market index up 46% in 2010 alone, top among the world’s largest markets. This story illustrates that Indonesia possesses indigenous energy to face its complex challenges and resolve them on its own. However, Indonesia is also confronted by an emerging set of challenges that are unique to the country’s current demographic, economic, political and social realities. The biggest challenge for sustaining Indonesia’s rapid economic growth is its erratic energy management. Indonesia experiences frustrating daily rotational power interruptions which adversely affects the growth and development of all economic sectors. This shortage of electricity supply is particularly shocking considering that Indonesia is endowed with plentiful energy resources. Indonesia produces costly electricity because generation is dominated by expensive oil although it has abundant coal, natural gas, and geothermal energy. For instance, PT. PLN,the state-owned utility company, struggles to maintain its gas supply because the majority of Indonesian gas is sold internationally. The trip by former PLN’s CEO Dahlan Iskan to shop for gas internationally – all the way to Iran – illustrates the lack of an Indonesian master plan in managing its electricity sector properly. Fuel shortages and long lines at gas stations have been reported throughout most of Indonesia ranging from Pekanbaru, Pontianak, Jambi, Manado, all the way to Ambon. While domestic oil demand is on the rise, Indonesian national oil production is dwindling, resulting in large imports of oil. The effort by the government to increase the oil production has been slow. New oil exploration has been sluggish, resulting in proven oil reserves being stagnant. Pertamina, the state-owned oil company, produces less than one fifth of the nation’s oil even though it holds the largest concession in term of area. And Pertamina’s market capitalization is dwarfed by Malaysian-owned oil company Petronas which is more than ten times valuable. This overall mismanagement of energy has forced Indonesia to spend a whopping USD$22 billion on fuel and electricity subsidy in 2011. This subsidy is more than 20% of its annual budget and is a major drain on tax revenues that would otherwise be spent on education, health, housing, law and order, and transportation infrastructure. The subsidy simply is not sustainable. Several questions remain. How can Indonesia address both the short-term problem of electricity shortage and also the long-term challenge of sustainable generation while minimizing our national carbon footprint? Does Indonesia need to deregulate the electricity market? If so, how should that be implemented ? Also, how can Indonesia increase its oil production and reduce its domestic demand so that it can regain the status of oil exporter country? Finally, how can Indonesia change the game plan to help make Pertamina a world-class energy company? This book is about candid assessment of the energy management challenges faced by Indonesia and it develops intelligent, rational strategies to move forward. Saya pekerja Pertamina yang sementara ini berdomisili di London untuk mengembangkan bisnis LNG kita. Saya sejak tahun lalu mengikuti artikel2 Bapak dan bangga alhamdulillah karena ada putera Indonesia yang meskipun berkarir di LN namun tidak kenal lelah untuk menyumbangkan pemikirannya bagi negeri ini. 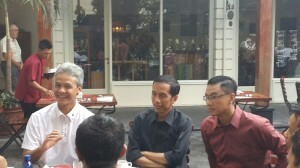 Dan kebetulan pemikiran dan konsep kebijakan energi Bapak sama persis dengan idealisme saya. Untuk itu dimana saya dapat memperoleh buku Smart Energy Strategies Pak? I am interested to read your book. Please advise, are they available in any book store?